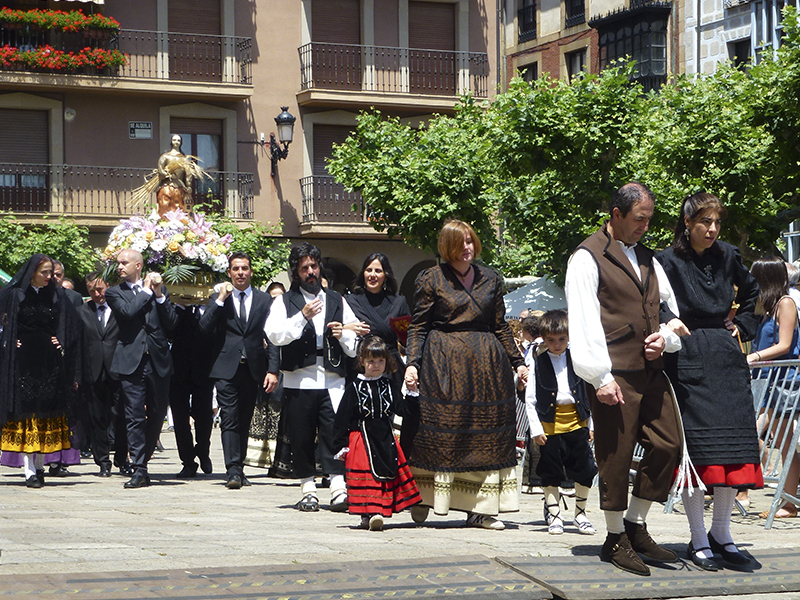 Soria changes his face during the five days that last these holidays. 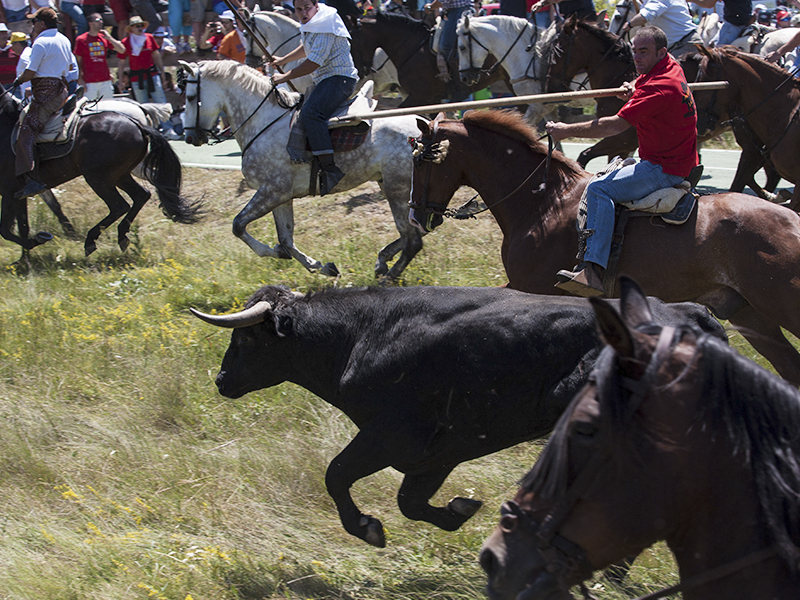 The bull, the wine, the music, the "cuadrillas" ... take the lead, and the city explodes with joy and becomes bustling. 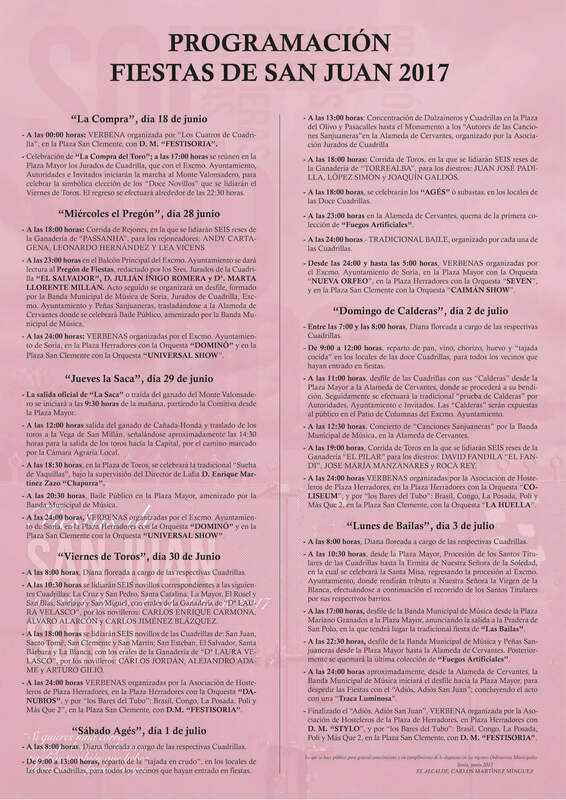 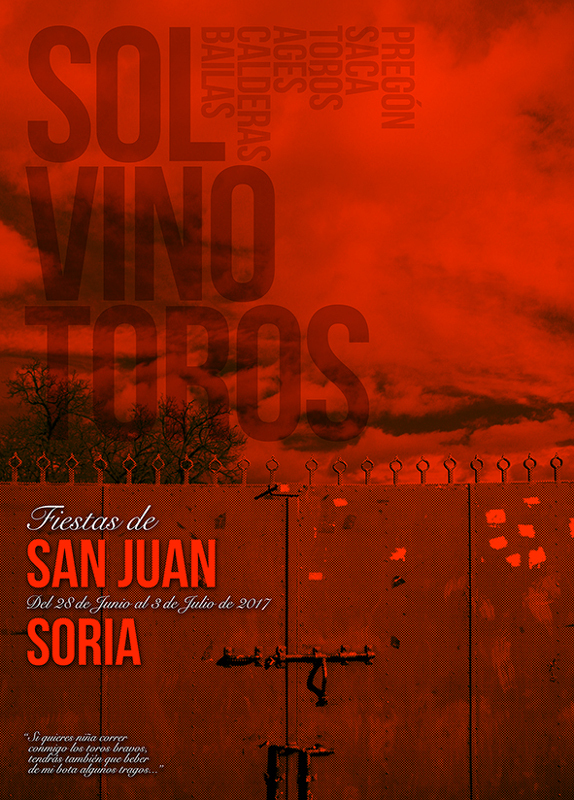 Divided into twelve gangs that are inheritance of the old neighborhoods reshaping, Soria begins to celebrate San Juan days, months before even, of the parties proper: the Catapán, the first Sunday of May, the disembedding or "landing" of steers in The plaza of bulls and in glen Honda, the Lavalenguas or the Purchase of the bull. 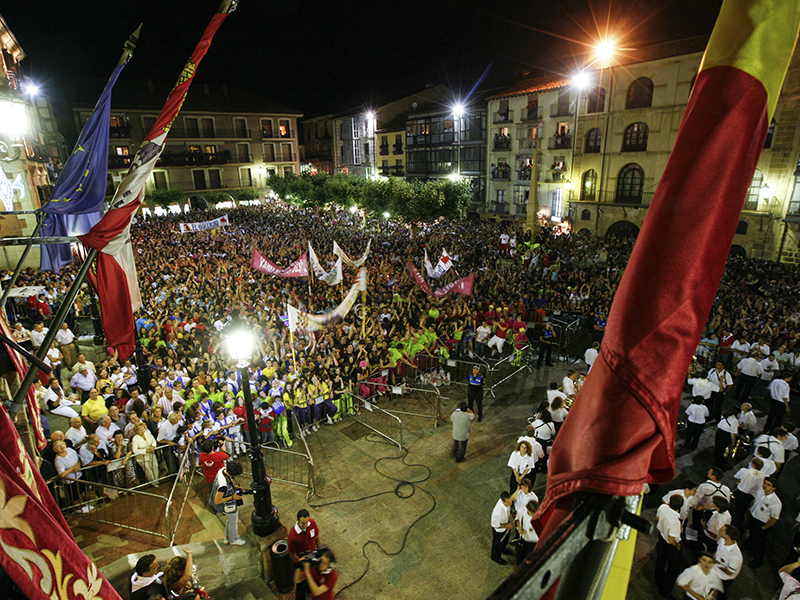 The five days of San Juan begin with Wednesday the "Pregón" (speech), that inaugurates the celebrations with a speech from the balcony of the City council. 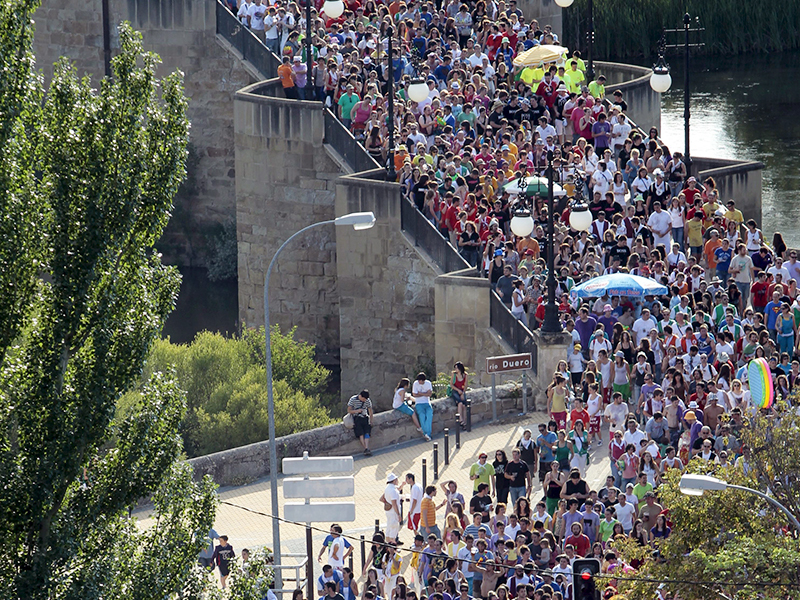 On Thursday, "La Saca" (the release of the bulls), horses, runners and gentle cattle bring from Valonsadero the twelve roasted to the capital. 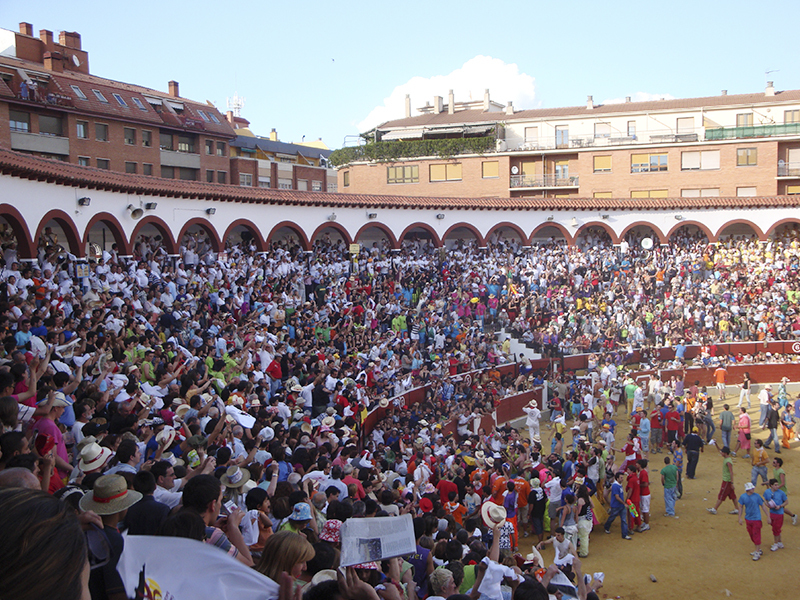 On Friday of Bulls the animals are dealt in the bullring. 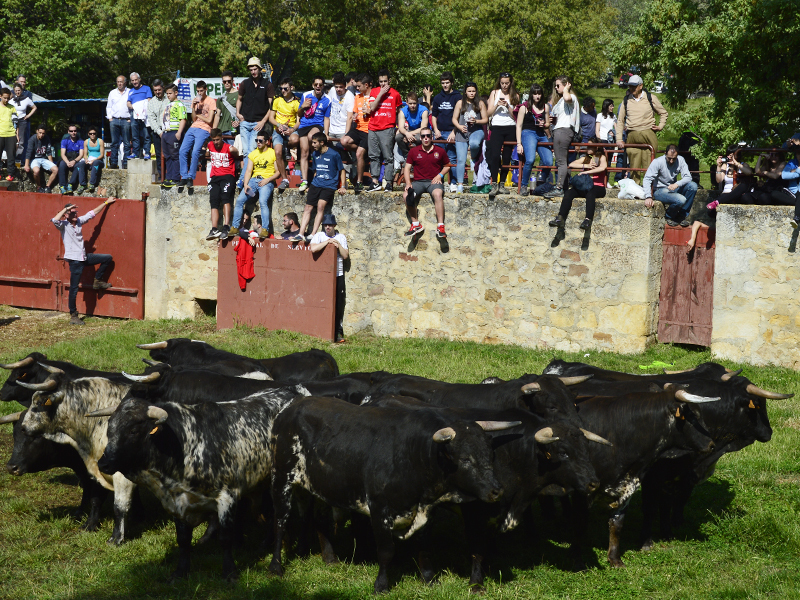 The meat and spoils of steers are auctioned all over the city on Saturday Agés. 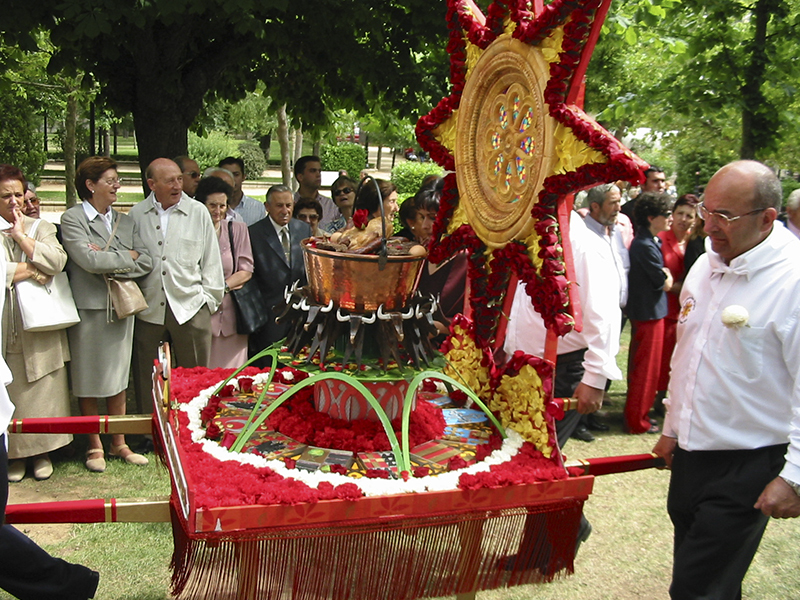 Calderas Sunday is considered the great day, the day of "most splendor", celebrating a parade of "piñorras" and "piñorros" of all the crews, who carry their "caldera", beautiful compositions with sanjuaneros motifs adorned with roses. 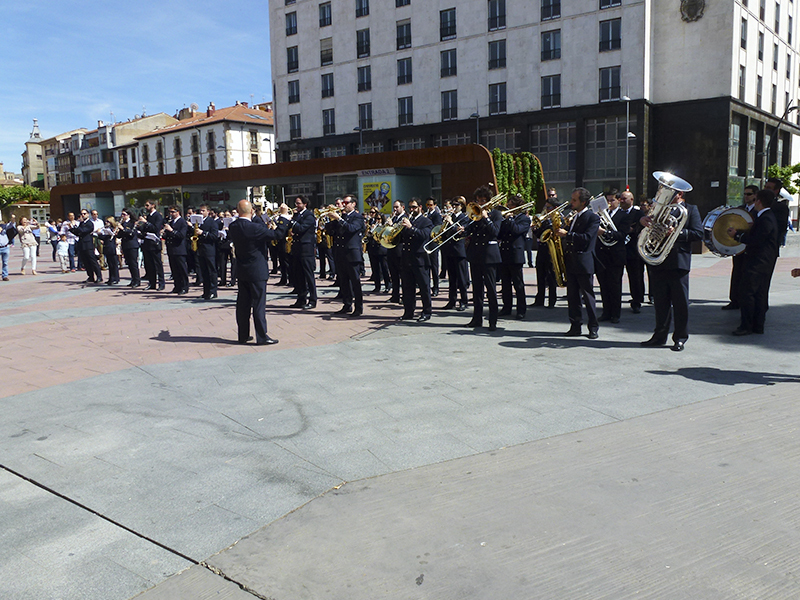 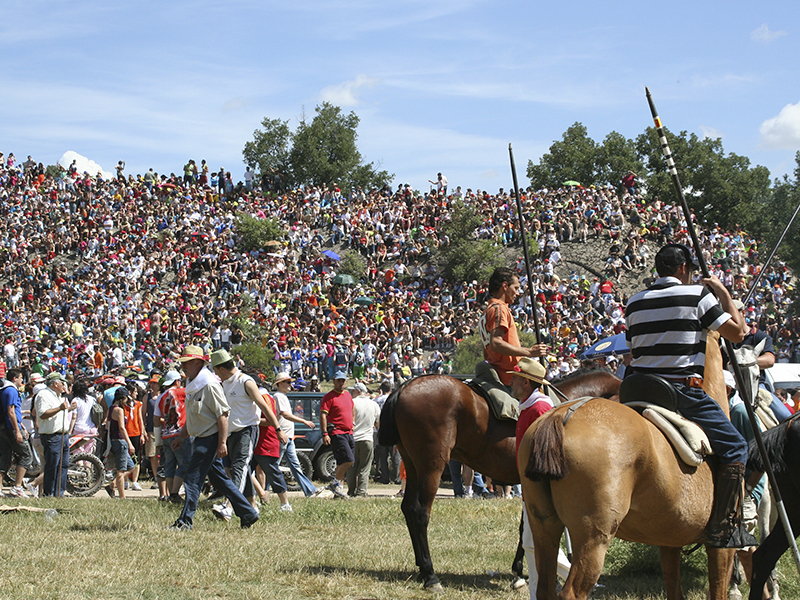 The last day, Monday of Bailas, is loaded with acts, beginning in the morning with a procession of the titular saints of each one of the neighborhoods, and that same afternoon, thousands of sorianos and outsiders go down to a prairie next to the Duero to Snacking, to put an end to the night with a band of municipal music, which will dismiss the parties to the rhythm of sanjuaneras.